It was the perfect knit for this tired pregnant lady—the cables and stripes and super soft squishyness of the yarn kept me going, but it was simple enough to take on the subway or bus, or work on during my Hypnobabies birthing class or while watching my daughter as she splashed around in the bathtub or built time machines in the living room from chairs and sheets. The staggered cable pattern was fun, but easy to memorize. 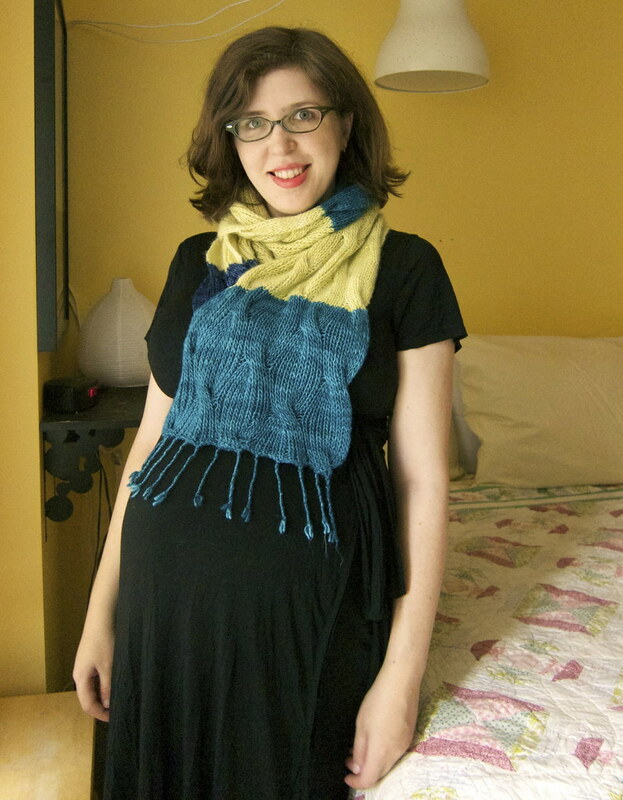 Pattern: The Bowerbird Wrap by Alexis Winslow from Graphic Knits (Interweave). Yarn: 3 colors of Malabrigo Silky Merino, a lovely soft hand-painted DK weight silk/wool-blend yarn. I used slightly over 1 skein of "412 Teal feather" for Color A, 1 1/2 skeins of "406 Narciso" (a chartreuse) for Color B, and slightly over a skein of "196 Mares" (a gorgeous painted deep blue purple) for Color C... about 585 yards in total. Needles: The pattern recommends size 11 to start (to create a loose squishy double-sided ribbed fabric with the DK weight yarn), but I'm a loose knitter, and got gauge with size 9 needles. 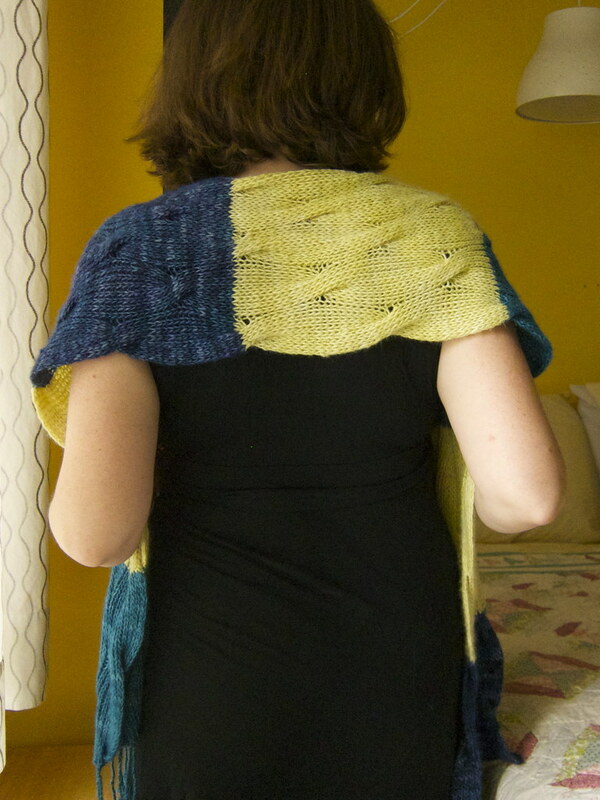 I would definitely recommend this project for a knitter of any level, even an advanced beginner. The only even slightly tricky bits are the cables at the edges, the color changes (I used a back join), and the twisted fringe finish. 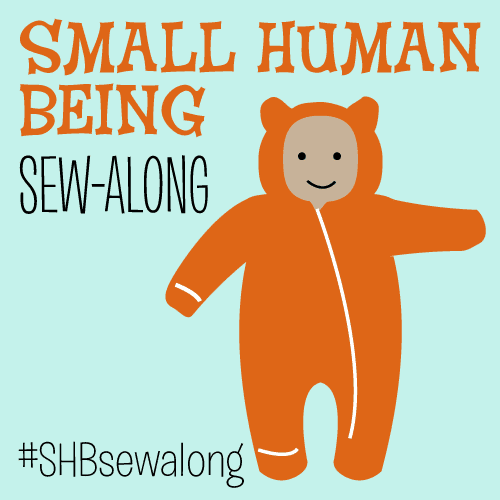 There's no fitting, no short rows, no stranded colorwork. 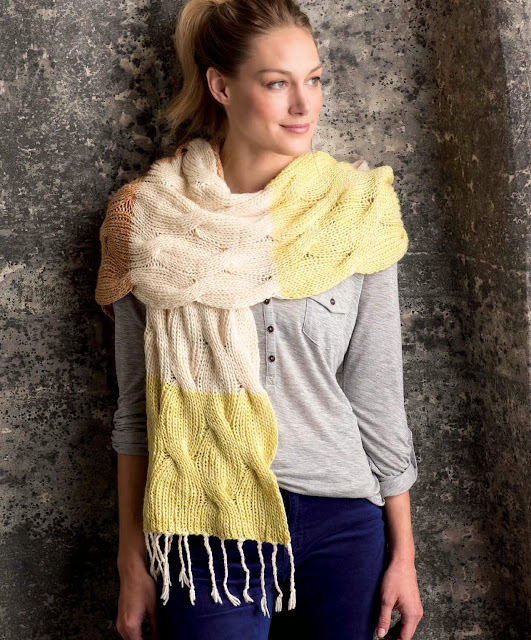 And the ribbing makes it reversible—essential for a scarf or wrap. Or wear it as a snuggly scarf. Seriously, this thing is really snuggly. 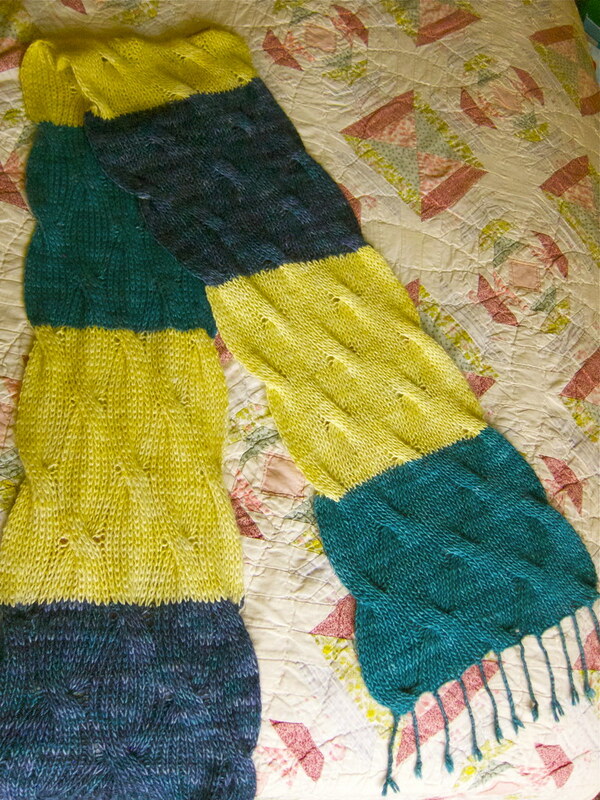 I'm glad I sprung for the actual silk-blend yarn called for in the pattern instead of using plain wool or alpaca. Anyway. You know I mean it when I say that Brooklyn-based Alexis Winslow is my favorite knitting designer, as I've now made three of her garments, including my beloved chartreuse lace Georgina Cardigan (which actually works great for maternity, since it doesn't touch the belly) and my purple Delancey striped cardigan. 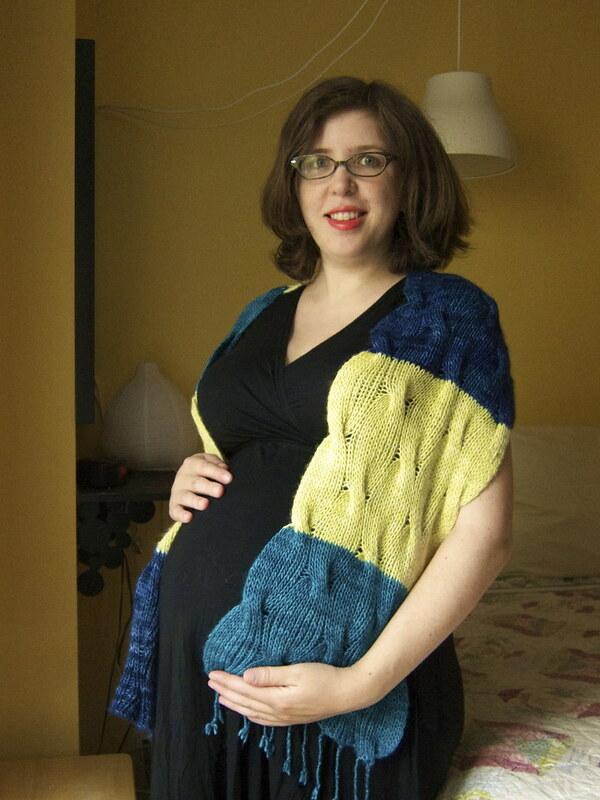 Her designs are bold, figure-flattering, colorful, creative AND super fun to knit. Disclaimer P.S. 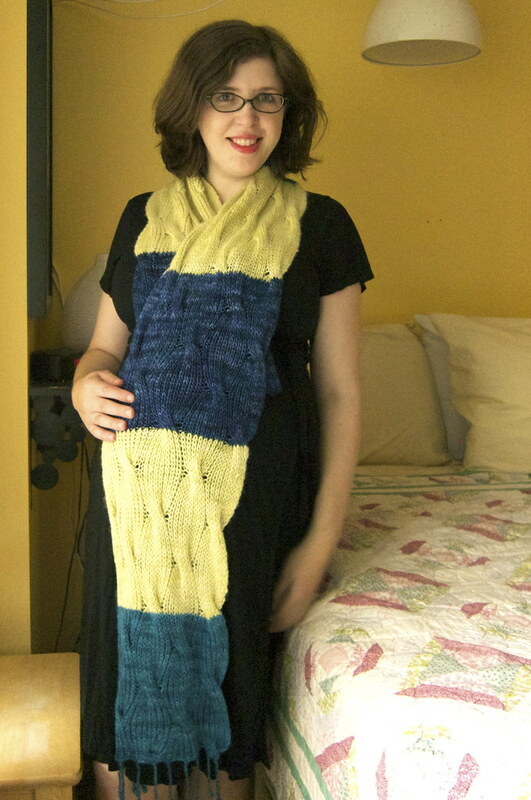 : I did receive a free review copy of Graphic Knits, but was not in any other way compensated or paid to knit the Bowerbird or write this post—I bought the yarn myself and wrote this post because I'm a huge fan of Alexis' work and hope her first book is a big hit so she can keep designing awesome knitting patterns! P.P.S. So I will now admit that when I took all these photos in the early wee hours I hadn't finished applying the twisted cord fringe to BOTH ends of my wrap (I'll have to do tomorrow), but I think I managed to cleverly conceal that in my photos. Except now you know. Oops! It looks lovely! You look lovely! It looks great! I got to meet her at Rhinebeck and see some of the samples in person...can't wait to get going on some of these wonderful patterns! So lovely! And it looks so soft and squishy. 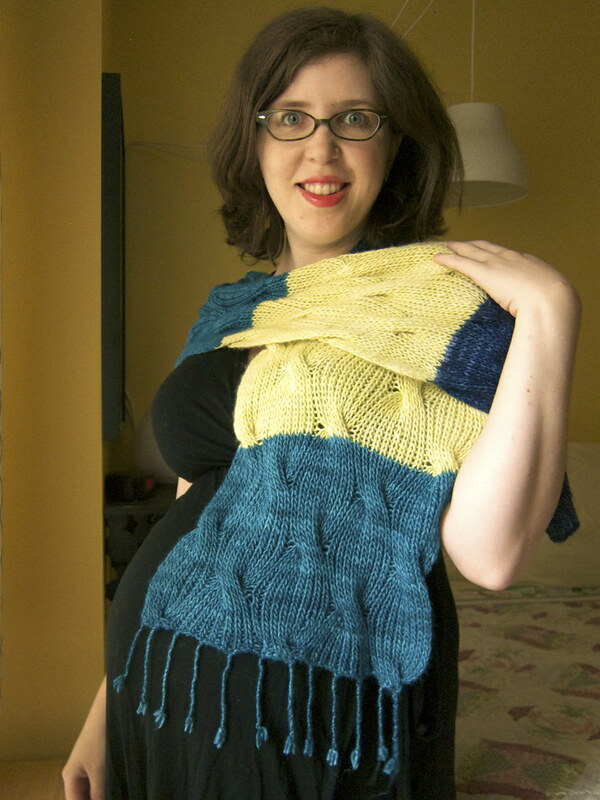 Really lovely colors on you--and finally I'm also 25wks pg too. Your pictures are so good that I can actually see the softness over here in Belgium! It looks so wonderful to wear. 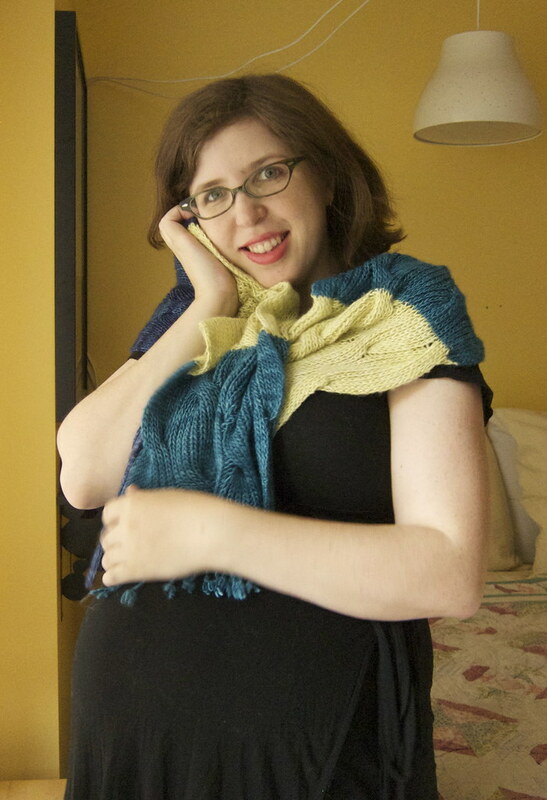 Hope you are getting some rest over there as your third trimester comes along. If you have time let us know how you're doing, will you?